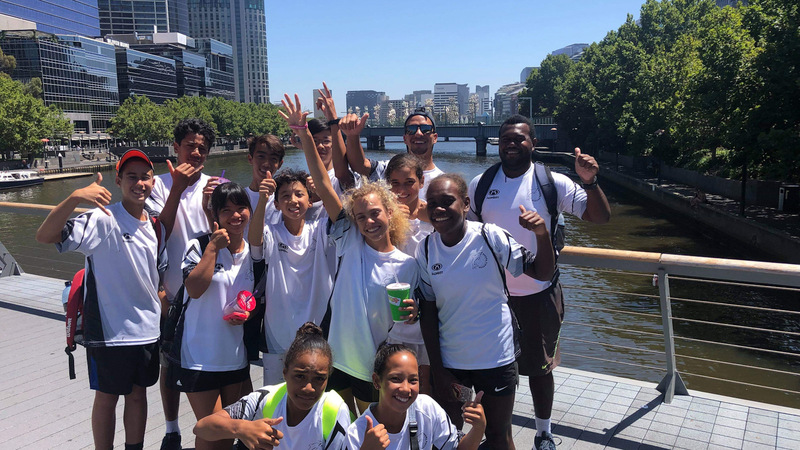 Ian Honila’s tennis journey has taken him from the Solomon Islands to the Australian Open, first as a junior player and now as a guide and coach to a new generation of Pacific youngsters. Next, he’s moving to Vanuatu to help develop the sport there and oversee a new programme that encourages female participation in tennis and addresses inequalities experienced by women and girls. Ian’s next move is to Vanuatu, where he will play a key role in developing coaches and introducing a new programme that encourages female participation in tennis, and uses the sport to address inequalities experienced by women and girls. The Game, Set, Respect programme has been developed by Tennis Australia in partnership with Tennis Vanuatu, Tennis Fiji and World Vision. It is supported by the Australian Government through the Pacific Sports Partnerships and is now being piloted in Vanuatu and Fiji.